I dog sat someone's Pomeranian for three months. She left a hole in my heart. So I went on Petfinder.com to find my own Pomeranian. White Whiskers on the Right. Ever practical Mr. Engineer was not too thrilled with the idea. He said, "No more dogs." I changed the ringtone for his calls to"The Grinch." Black Whiskers on the Left. But I perused Petfinder daily anyway. that had been rescued from an Ohio Puppy Mill. I made arrangements to bring him home. Mr. Engineer was still saying no. He didn't know about the arrangements. "I Hear My Friend Mia Barking Over There." and I brought my puppy home. and I changed the ringtone back. The poor little thing was petrified of everything. not even let out to do his business. was eventually breeding more puppies. and now doesn't feel well. What a beautiful post and a handsome dog. Well done for giving him his forever home. Mia is adorable! Love the shots, they are full of life and energy. It's difficult for me to understand how anyone could operate a puppy mill. Mia is so lucky you adopted her! A wonderful story of rescue. My daughter and significant other just adopted a bigger dog, part lab, and he is a loving and adorable pet. He is still a little skittish at times, and no one knows what he may have endured. he looks like a fun dog! He's adorable! What a beautiful story... so glad you got him. What a great story and beautiful photos! Neither of my dogs are fond of the camera, so it's tough for me to get them to pose. She is sooooo cute and looks she had a lot of fun. So glad you got her out of the place. I get so angry when I hear of this puppy mills. Awesome story and adorable Nittany. Very cute, and such a heartwarming story. My grandma used to have a pomeranian named Samantha. After my grandpa died, she would sit on top of his boots and growl at anyone who came near. She was really his dog. Many years ago I took an apricot Pom puppy from a military family who was being sent overseas and could not take him with them and drove him over a thousand miles to my parents'. My mom had always wanted a Pom. My dad, who was a big burly fellow, huffed and puffed, but the puppy grew up to do lots of sitting in my dad's lap and gave them many years of joy! p.s. I can't believe your Pom has got black and white whiskers - how cute is that?! I'm not a dog owner but I think your pooch is the cat's meow! Oh, Rebecca, he is beautiful and he looks like he knows he is loved. What more could any dog ask for? A true love story for valentine's day. 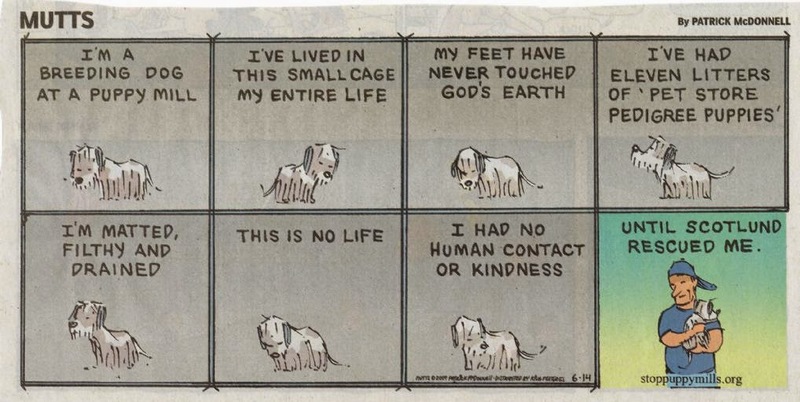 Oh my gosh, the fact that he lived in a crate in the barn for that long breaks my heart! I am so glad you rescued him! We had a Pomeranian growing up named Timmy. What a great story! Our little Bugsy is a puppy mill dog, having lived his first 2 years in a cage. He brought some baggage with him that after 7 years are still there but we have learned to handle. All in all he has been a wonderful companion and certainly deserving of a better life. What gorgeous pic of your pup!! He is lucky to have found you! Aw! There's a little tear in my eye....I LOVE this story - rescue dogs are the best. So glad you found each other and that you got to change your ring-tone back! :) Lol! What a darling little dog. I'm so glad it now has a forever home and is loved the way it should be. Hard to stay away from pets at my house. I have two rescues, and they are my entertainment many days of the week. It is fun to have someone join me when on a shoot until they wreck a perfect shot. While I hunt, they join me. Love this post! How sweet! Glad the pup is doing well. Yes, adopting is the best way with a dog or cat. So many need homes and are rewarding company. Oh so beautiful and full of energy. So nice you have taken him under your wings so to speak. God bless your heart.